Buying a hospital bed for your loved one can be a grueling process. What’s the best bed for their condition? How do you know what type of mattress they need? Which features are critical to their safety? Here at HomeCare Hospital Beds, we want to make the process as simple and efficient as possible. That’s why we put together a Purchasing Guide to help you narrow down your search. Call our hospital bed experts Monday - Friday 7:30 am - 5:30 pm EST for help at 877-414-0002. How many hours per day will the patient be using the bed? Is your loved one able to get out of bed? Is the patient at risk of falling out of the bed? 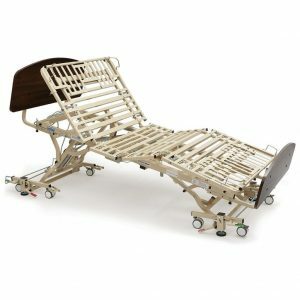 What bed will provide the correct functions needed for the patient? How long will the bed be needed for? Will you need to have the bed assembled? How much care will your loved one need while in the bed? Who will be providing that care? The bed frame determines the support and stability of the bed. 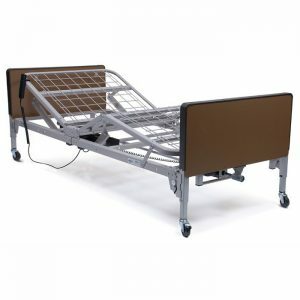 Hospital bed frames have varying bed decks that provide support, such as spring, grid, slat and full decks. The bed frame can also have a variety of different functions based on if they are manual, semi-electric or full-electric beds. Manual and Semi Electric beds are cheaper than Full Electric Beds and are ideal when your loved one will only need the bed for a short period of time. The functions offered in different beds can include Hi-Low functions to move the patient up and down for easy caregiver access, head/knee functions for patient comfort and trendelenburg functions for patients that require a more clinically advanced position. The mattress plays a pivotal role in providing comfort and protection for your loved one.The mattress chosen for a patient is extremely important in the process of purchasing a bed. Those who spend more time in bed, but are still able to get out of bed with assistance, require a higher grade pressure redistribution mattress compared to patients who are still mobile and able to get out of bed regularly. For those who are restricted to their bed for a majority of the day, specialty mattresses that include Low Air Loss or Lateral Rotation functions can help prevent, protect and provide relief from pressure sores, more commonly known as bed sores. 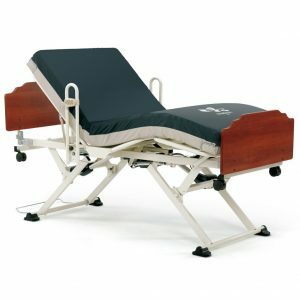 Semi-electric beds function through the use of a hand pendant to activate an electric motor to move the head section and knee section of the bed. The pendant can be used by both the patient and the caregiver. Height adjustments can still be made in semi-electric beds but must be made manually with a hand crank. Full electric beds use a hand pendant to control each function the bed is able to perform. The head section, knee section, and high low function can be controlled through pressing the buttons on the pendant. Full electric beds can be lowered for patients to easily get out of bed and raised high enough for caregivers to provide assistance safely. Less cost effective than semi-electric beds. Hi-Low beds allow for extra protections for patients who are at an increased risk of falling out of bed. Hi-low beds offer all the same benefits as a full-electric bed, with a bed deck that’s 7 inches from the floor (without the mattress). 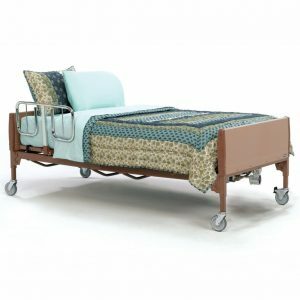 Hi-Low beds are perfect for assisted living facilities and at home so patients can safely get in and out of bed. Hi-low beds rise automatically as the patient is standing as an extra safety measure. Bariatric beds are bigger, stronger full electric hospital beds built with more durability to support patients that range in weight from 350 lbs to 1000 lbs. These beds offer all the same amenities as the full-electric bed, in a wider and more sturdy package. 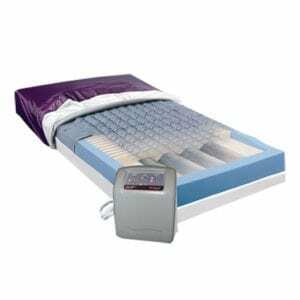 A MedPrevention Mattress is a great choice for patients who are immobile or spend long periods of time lying in bed. 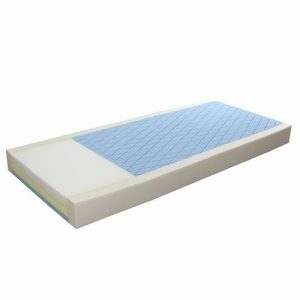 MedPrevention Mattresses are specifically designed to prevent skin deterioration and the formation of painful pressure ulcers or bed sores without breaking the budget. Only a preventative measure, doesn’t heal bed sores. Alternating Pressure mattresses are ideal for patients who already have bed sores or pressure ulcers, or have a history of ulcer development. 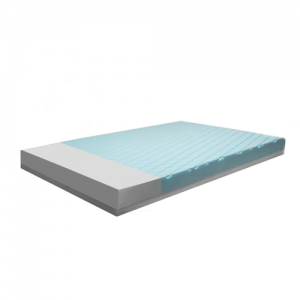 An Alternating Pressure Mattress will relieve pressure and manage skin moisture by alternating the inflation and deflation of the individual air cells in the mattress. These mattresses promote blood flow and circulation for healthy skin, and provide pressure point relief for extra comfort. Low Air-Loss Mattresses are great for patients who need bed sore therapy, as they relieve pressure and manage skin moisture. Blowers in the Low Air-Loss Mattress help balance the level of moisture in the skin without drying out therapeutic dressings. 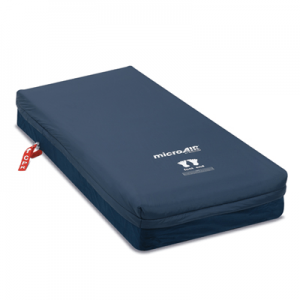 Lateral Rotation Mattresses are also great for patients who need ulcer therapy. 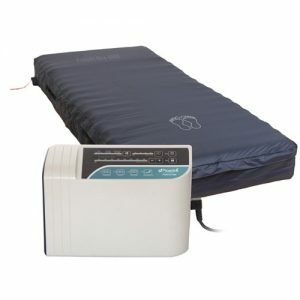 Lateral Rotation Mattresses gently rotate the patients to relieve pressure points. This can lead to promoted digestion and circulation, and can help prevent pulmonary complications. The blower in the Lateral Rotation Mattress helps balance the level of moisture in the skin without drying out therapeutic dressings. Bariatric Mattresses are uniquely designed to support patients from 350 lbs. To 1000 lbs. 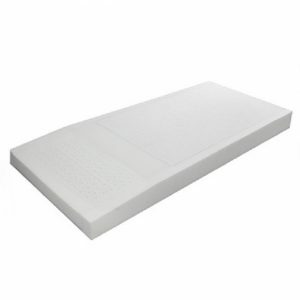 These heavy duty mattresses are available in both form and air-circulating styles. We know that choosing a HomeCare bed for you or a loved one is not an easy task. We always want you to feel informed before you make a purchase. 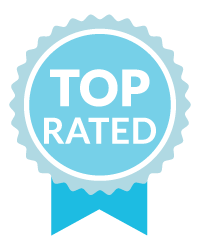 If you have any doubts that a bed is right for you, please contact us so we can help you make the right choice. Call us today toll free at 877-414-0002 or email us at info@homecarehospitalbeds.com.